One Piece is an anime and manga about a group of pirate led by Monkey D. Luffy Luffy who went searching for a legendary treasure trove called One Piece. One Piece created by Eiichiro Oda. The comic started in 1997 in Shonen Jump issue Shueisha, and until now still continues. TV version of his starts in October 1999. Until 2007, more than 524 stories and 53 volumes have been published manganya version. In Indonesia, this manga is published Elex Media Computer and until now have reached the volume to-49.. TV version of it, produced Toei, has reached 312 episodes in Japan. . In addition, eight movie screen width has also been outstanding. In Indonesia had shown itself in RCTI and is now running on Global TV. One Piece success story thanks to a strong, romantic, unique feel of the humor, tight race between the figures is odd, and the figures are told in depth. It seems very rare shonen manga that the story of the pirate. Some other anime that is almost reached success, such as One Piece is Inuyasha and Naruto. The major character in this series focused on Monkey D. Luffy Straw hat pirate member. That contribute to "evil people" in this series range from the rover to another member of the government. However, the role of enemies in the party is large navy (marine). For more details about the character detail, see the template below. Monkey D. Luffy (Bounty 300,000,000) Main Figures that aspire to become pirate king after the Shank red hair layover on the island of his birth, Lusha, he was given by the straw so that soon he must return it if they meet again. This is the straw that was something special. gomu fruit-eater gomu, can make all members of the body such as elastic rubber, anti-missile and electricity, but very weak against sharp weapons. Roronoa Zoro (Bounty 120,000,000) A samurai sword (santoryuu) who aspire to become the greatest swordman. Juraquile defeat Mihawk one shicibukai heroes sword and is number one. Nami (Bounty 16,000,000) Navigator is able to feel the powerful change the weather with her body, he is also a thief even though the ability to join with Luffy is still often used. Shoot for drawing the map of the world. Nami can also fight using Clima Talk / Talk Perfect Clima (Weather Staff) made by Usopp. Usopp / Soge King (Bounty 30,000,000) sharpshooter in the group of pirate straw hat. Aspire to become heroes in the ocean and want to go to the island of Elbaf. His father, Yasopp, was a sharpshooter in the pirate Shanks Group. Like to lie, and told the nonsense. Sanji (Bounty 77,000,000) a Chef who aspire to find a legendary ocean in which all sources of food came, All Blue. He is also a student of Zeff the Red Pool, chef of Restaurant Magazine Baratie was a pirate. Sanji uses both legs to fight and never use the hand because according to him, hands is a treasure trove for the chef. Tony Tony Chopper (Bounty 50) Doctor of the shape of reindeer super that have seven changes existed a certain type of nose blue, he carry the willingness of doctors in the medical world Hiluluk, the desire to heal all diseases in the world. He eat Hito-Hito fruit so that they can speak human. Chopper Rumble ball when using the fight. Nico Robin (Bounty 80,000,000) Archaeologists one of the world's remaining island Ohara investigate the origins of the initials D say through Poneglyph that the actual events on the history of 100 years are missing. It is the most sought by the government because the world is seen as the devil that can disrupt the peace of the world. This is evidenced by the value it at the time of 8 years of age is very high. Consumer-hana hana fruit so that it can reproduce the body where the members only (but more often the hands). Franky / Cutty Flam (Bounty 44,000,000) Cyborg Wind wood while the desire to build dream ship, the ship is capable of all ocean vessels, such as pirate king Gold D. Roger, Oro Jackson. He also carry goal from Tom the creator of the greatest ships. Franky fight with the weapons hidden throughout the body. Brook (Bounty 33,000,000) Human skull blond afro and also a Musician who recruited after events Thriller bark. He is a pirate on the promise that a pope who called Laboon and desire to continue the journey to Rafftell, the tip of the island world and promised to return again to meet Laboon. Fight with the sword and his violin. Fruit eater Yomi-Yomi the meaning of life again. In fact he had long died, but because of the strength of this devil fruit his soul back and find his bodies bones. 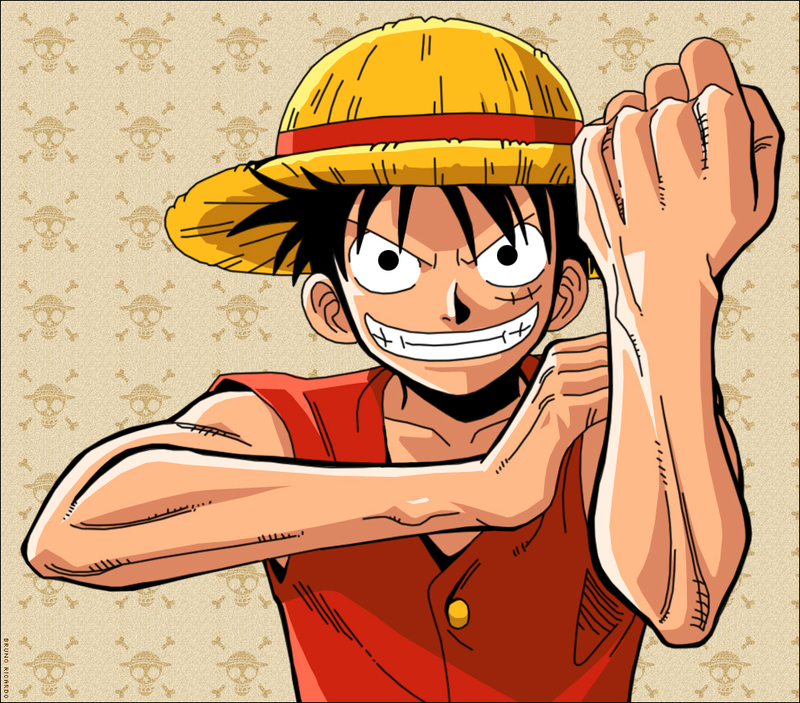 One Piece popularity in the Weekly Shonen Jump, created the Toei Animation decided to make serial anime is. The Anime rating is very high and up to now has been released more than 300 episodes, movie 8, and 1 OVA. Early era of One Piece anime is actually an OVA One Piece, the One Piece: Pirate defeat the Ganzackt!, Published in 1997, followed impressions per weekly episode. Until 30 March 2008, total TV episode that is One Piece Episode 349. From episode 207 fore, One Piece features broadcast in high-definition resolution with 1080i. One Piece broadcast an average of 4 episodes per month. One Piece: The Movie. Movie with the first self titled, recounts the adventure pirate Group straw, (not shown Sanji) look for the abandoned property Wonan, a legendary pirate. But faced with the need to pirate El Drago fruit that has a demon. One Piece: Adventure in Clockwork Island. Adventure Group straw in the mysterious island in the East Blue Clockwork Island to pursue their ship stolen by Card brothers. One Piece: Chopper's Kingdom of the Strange Animal. Acts based on the Chopper suddenly become a King of all animals. One Piece: Dead End Adventure : The story about the race boat race followed straw because of lack of money. But apparently the game has corupted by the General Gasparade. One Piece: Curse of Seven Star Sword . Stories that focus Roronoa Zoro, tells about the existence of the cursed sword, the sword Seven Stars hosted by boyhood friend of Zoro, Saga. One Piece: Giant Mechanical Soldier of Karakuri Castle. Tells about the existence of the island's powerful built by Dr. Ratchet. Ratchet. Straw hat must stop Ratchet ambition to control the world. Episode of Arabasta: The Princess, Desert, and Pirates , told the story back full Arabasta (end of story Baroque Works). Episode of Chopper: Island of Perpetual Winter. 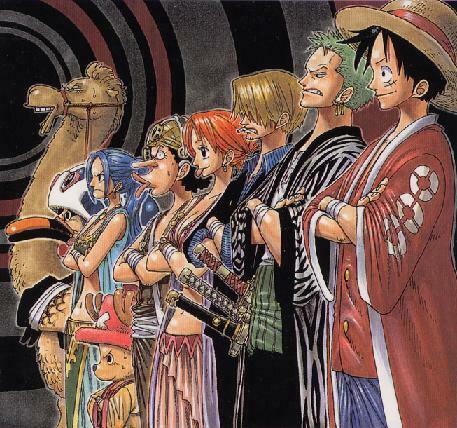 Outside the original timeline, the story told again Drum Kingdom but with a crew that already includes Robin and Franky. Along with some other adjustments story.